It’s official, there truly is an app for everything. The recently released Word Lens App instantly translates printed words from one language to another with a built-in video camera, in real time! Word Lens is a dictionary – evolved. It looks up words for you, and shows them in context. 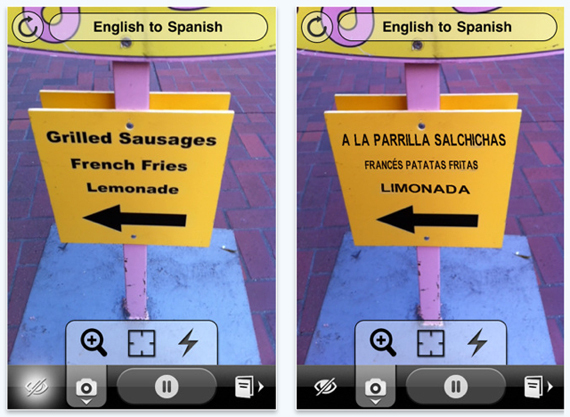 You can use Word Lens on your vacations to translate restaurant menus, street signs, and other things that have clearly printed words. Just like Version 1 of any new app, Word Lens has its limits. Sometimes the translation will be hard to understand, but it usually gets the point across. If a translation fails, there is a way to manually look up words by typing them in. Word Lens does not read very stylized fonts, handwriting, or cursive.